The 21st Conference of the Parties (COP) will open its doors in November 2015 in Paris. After historical reduction targets announced by the US, China, and India, as well as pledges for meaningful action against climate change by religious leaders, some news agencies state the conference will be “too big to fail”. But, wait didn’t we hear this phrase before? Yes, at COP 15 in Copenhagen, a conference that ended with no universal legally binding agreement. In which way is the situation different in Paris and what exactly will be at stake at the upcoming conference? The main difference is probably the increased international awareness and pressure from civil society, scientists, religious leaders, and the private sector in combination with advanced technologies available at competitive costs. All these factors increase the weight on governments to agree on binding and adequate international commitments to a low carbon transmission. 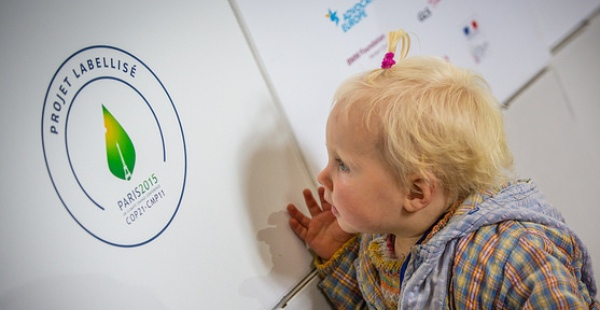 The main focus at COP 21 will be given to: (i) reach a universal (legally binding?) agreement that leads to meaningful climate action; (ii) incorporate the Intended Nationally Determined Contributions (INDCs) from the member states into the agreement; (iii) create a robust finance agreement in order to mobilise $100 billion of climate finance for developing countries a year by 2020; and (iv) raise the profile of the “Agenda of Solutions”, in which state and non-state actors’ actions are supposed to amplify national commitments. Under these four overarching aspects a tremendous amount of specifications will be discussed. For example, a set of instruments and mechanisms, such as a cap and trade mechanism, as vehicles to reach reduction targets. Considering the track record of previous COP negotiations, I am highly skeptical that an agreement can be reached that is effective in reducing the overall emissions as well as legally binding in key aspects, such as the national commitments or the financial contributions of different member states. Many experts share these concerns and do not expect that the INDC commitments and plans currently at stake will be consistent with the international goal of avoiding global warming of more than 2ºC. From my perspective, it will be inevitable to increasingly involve the private sector and financial markets into emission reduction action and as an additional source of funding. It is my hope that a Paris agreement can provide clear guidelines and a regulatory framework that creates some form of an ‘equal playing field’ for the business community. Several private actors demand this clarity to be able to make strategic investment decisions. I personally think there is a huge potential from putting a stable price on emissions and making use of market forces, but these fruits could only be reaped if there are set boundaries and a strict enforcement of regulations. COP 21 will need to show if they can provide such guiding results. Overall, it is likely that COP 21 will lead to a strong signal and some form of an agreement. However, it is highly questionable if the commitments will be sufficient to avoid a dangerous level of global warming and if key elements, such as national contributions will be legally binding in the agreement. Nonetheless, if you consider the high level negotiations as a form of an awareness raising campaign to tackle climate change and provide some guidance to the general public, then the Paris conference will surely deliver considerable outcomes. Note: This article can also be found in the MAHB Newsletter – Autumn 2015: Focus on COP 21. The Millennium Alliance for Humanity and the Biosphere is another great source of updates on global environmental topics and intents to connect activists, scientists, humanists, and civil society to foster global change. 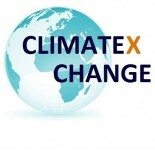 This entry was posted on November 2, 2015 by Janto S. Hess in Climate Change Negotiations, International Development, Media and Climate Change, Posts / Themes and tagged climate negotiations, COP 21, Paris.